Chewy Junior’s is a cream puff chain store from Singapore. They have made their home now across from Waterfront station on the corner of Cordova and Richards street. Their cream puffs either have a vanilla filling or a chocolate filling. The only difference is in the toppings on top of the cream puff. 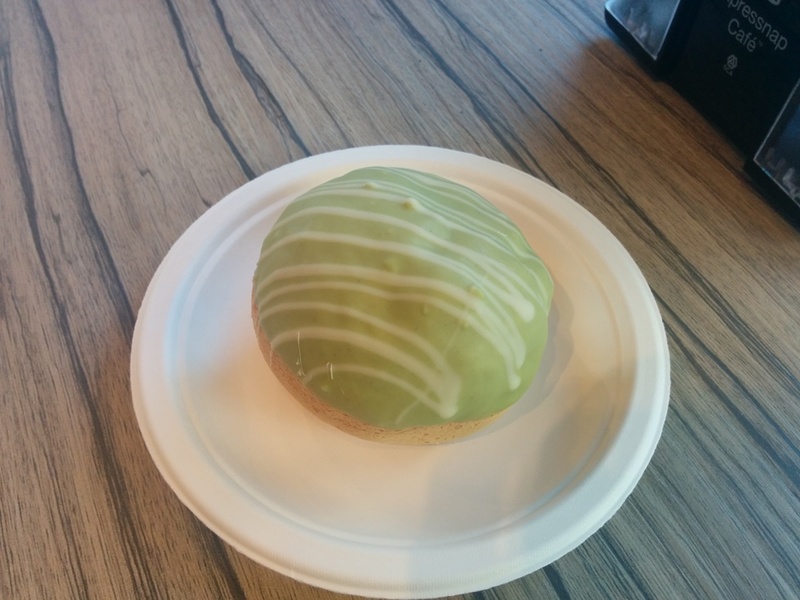 In the case of the Matcha, it had a matcha filling. This entry was posted in Desserts and tagged chocolate, cream puffs, matcha. Nero Belgian Waffle Bar Revisit! 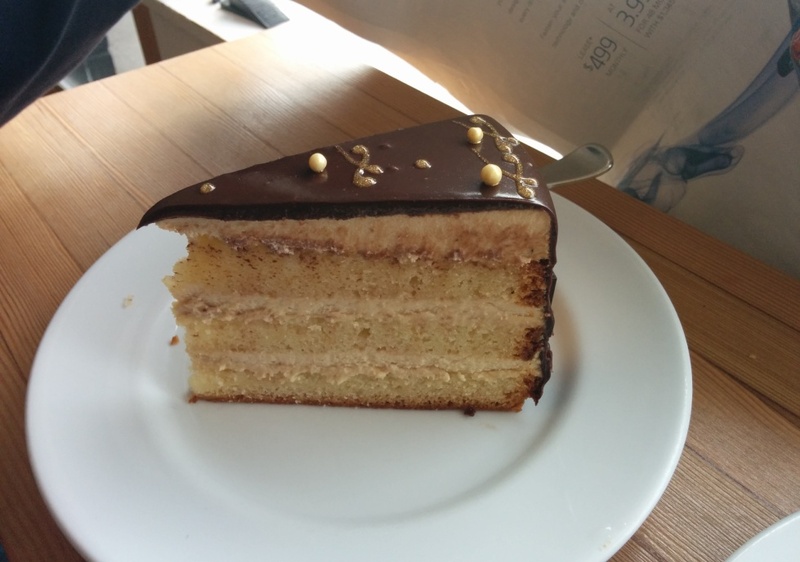 The special of the day was the Liege au Chocolat which we decided to try. 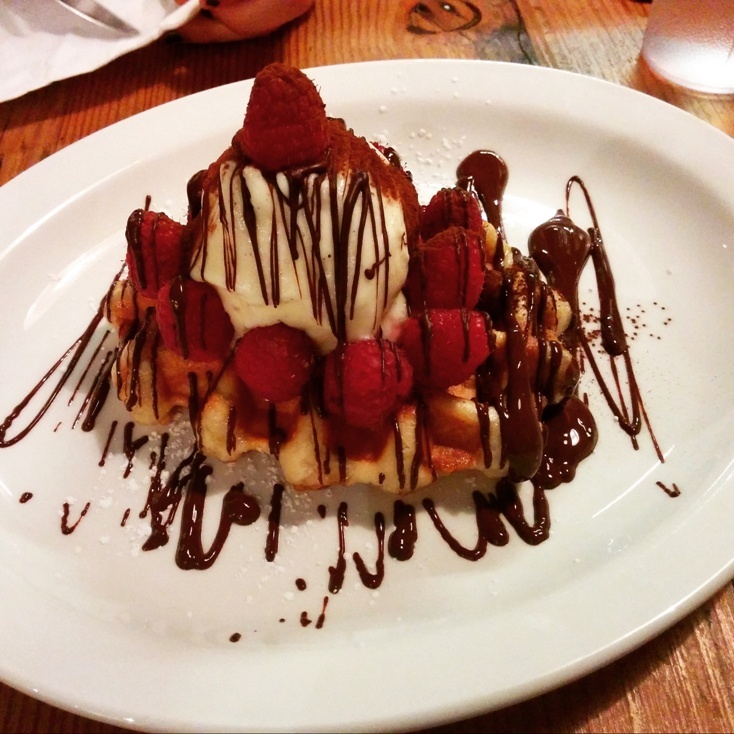 The waffle comes with raspberries, a scoop of vanilla ice cream and plenty of dark chocolate drizzle. It just looked so beautiful! <3 Waffle will you be my valentine? The waffle was crisp on the outside and chewy on the inside and the toppings went really well together. I like how the warm chocolate solidified on the cold ice cream. The raspberries were plump and offset the sweetness from the chocolate and of course ice cream goes well with any dessert! You really must come here at least once if you love waffles! 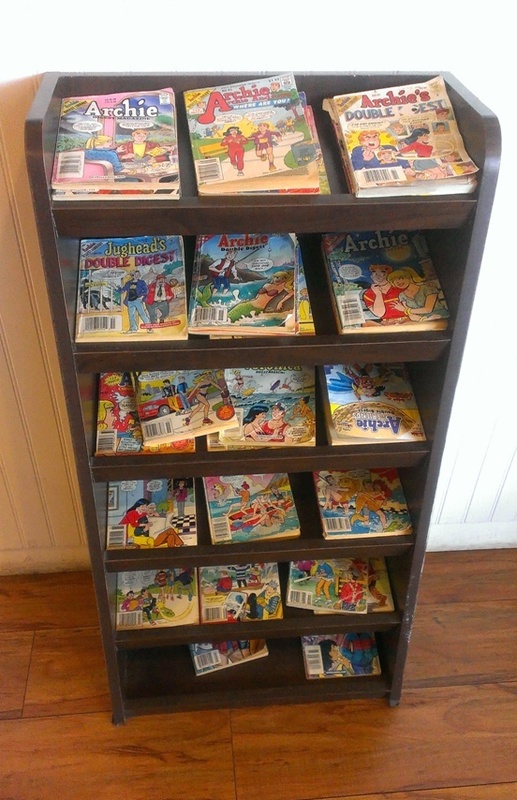 Read about my first visit here! 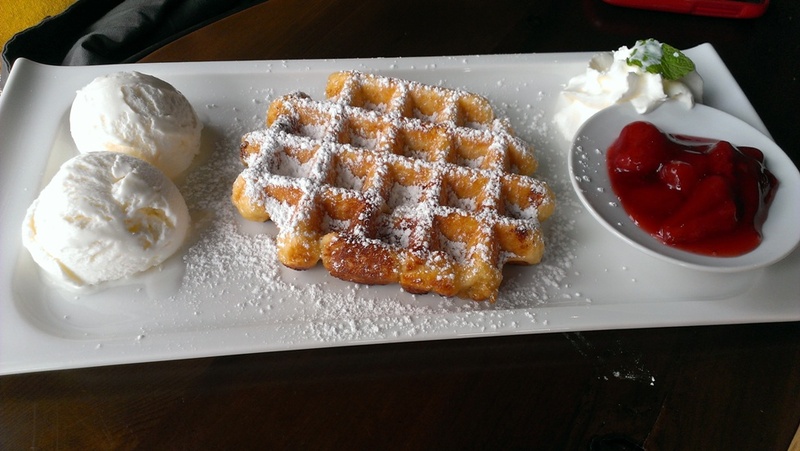 This entry was posted in Desserts, Food Reviews and tagged chocolate, ice cream, liege waffle, raspberries, waffles. I bought three boxes of cake mix last year when they were on sale at PriceSmart and then I never felt like making cake after. I just wanted cookies … good thing there are recipes for cake mix cookies! Last month I made some gooey butter cookies and this time I turned my Devil’s Food Cake into some chocolatey and moist cookies! All you need to do is get a box of cake mix of your choice, 1/2 cup of butter and 2 eggs and beat everything together! It really doesn’t get any easier than that. Then you just spoon it onto your cookie sheet. 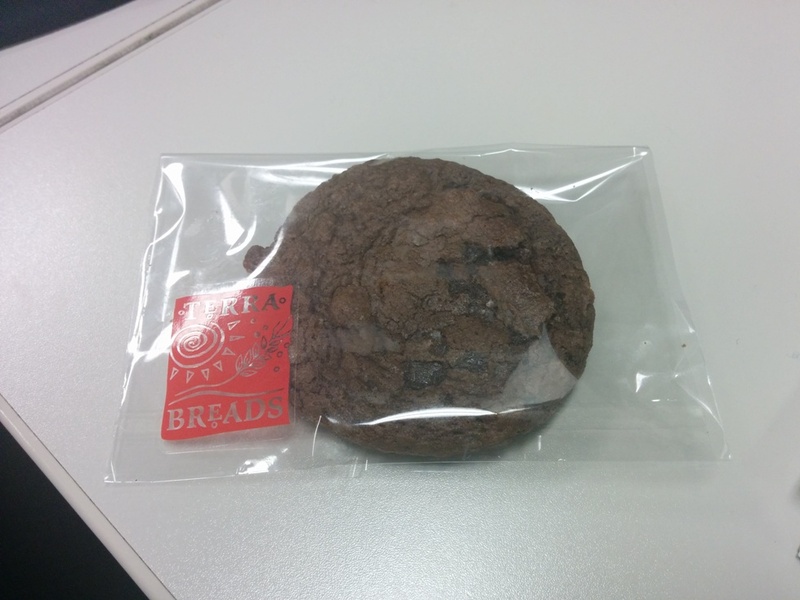 The batter is very sticky and spreads a lot so I came out with larger than expected cookies. When they came out of the oven they were very soft and cake-like. After they cooled down though they were more chewy and still moist. I noticed some recipes used oil instead of butter but I think that makes it less chewy. My cookies were big so I baked them for 12-13mins instead of 10mins. I ended up with 21 cookies but could’ve had more if they were a bit smaller. By the way, the cake mix brand I always use is Betty Crocker in case you were wondering. 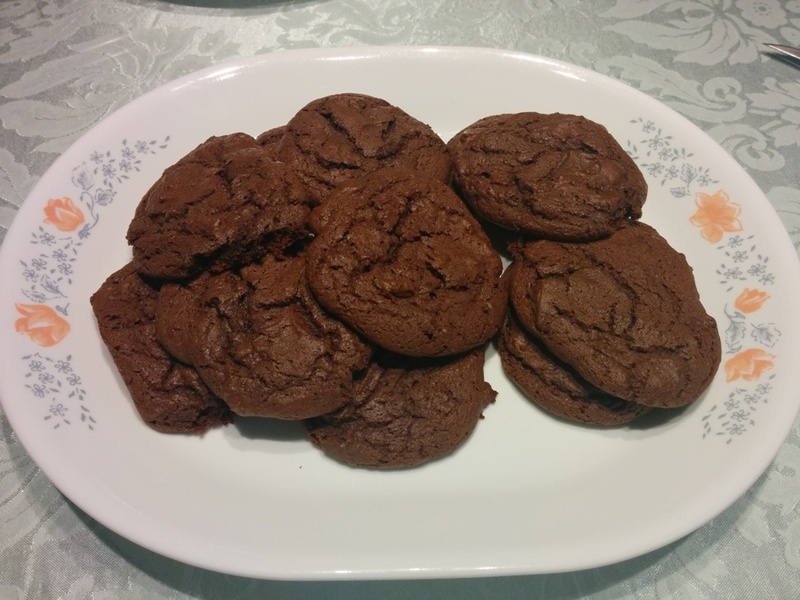 This entry was posted in Baking With Me and tagged baking, cake mix, chocolate, cookies. 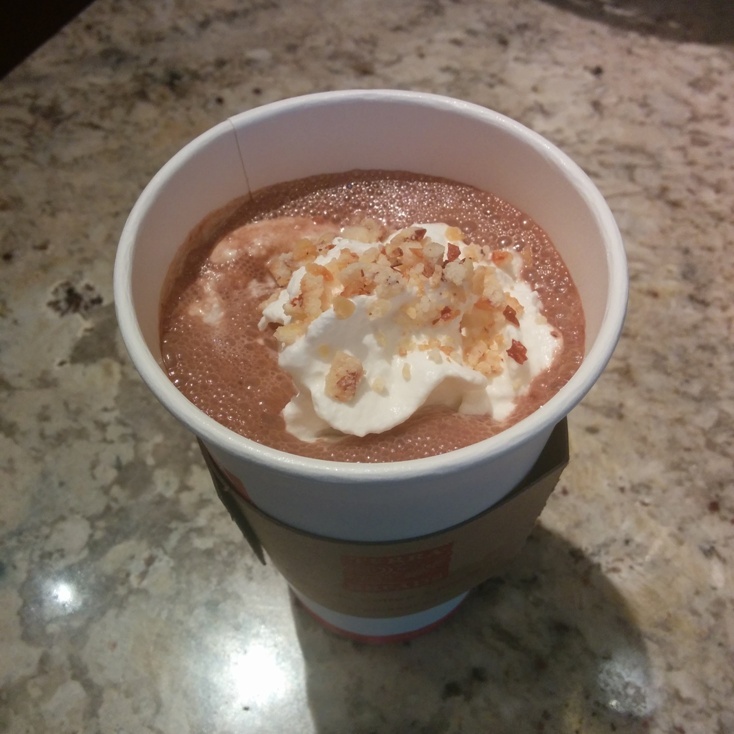 FREE Dark Chocolate Dream Latte Coupon! Thought I’d just quickly share this! Free any size dark chocolate dream latte after 2pm at Tim Hortons (participating locations) if you didn’t know already! :) Haven’t tried it yet! Coupon below! This entry was posted in Product Reviews/Events and tagged chocolate, coffee, coupon, free, lattes, Tim Hortons. I’ve heard good things about Berry Good before but somehow never made it there. The cafe is pretty small but cozy as well. 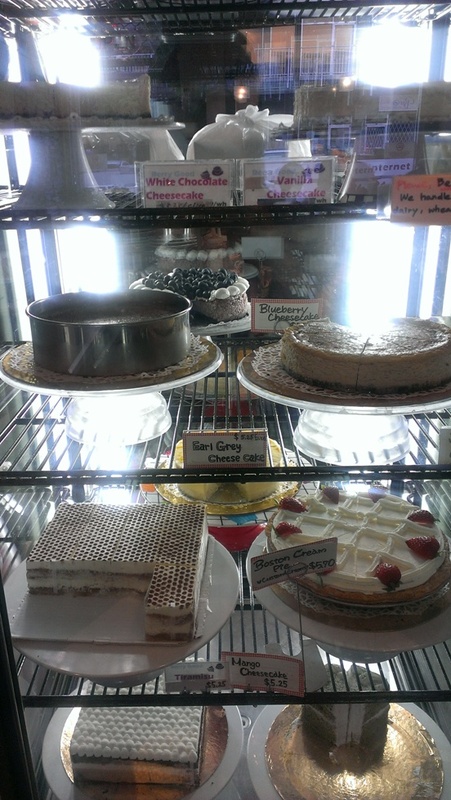 They have all the day’s cakes on display in a refrigerator at the back and you can go up and see what you want. They also serve drinks and drink and cake combos for around $8-10. I’ve heard a lot about their Green Tea Chiffon Cake but I didn’t feel like green tea that day so I went for the Noir Blanc cake since I love chocolate. I was also interested in the Earl Grey Cheesecake but I read that it wasn’t that flavourful? This entry was posted in Desserts, Food Reviews and tagged cakes, chocolate, desserts, late night.